This time of the year tends to bring a faster pace than most months I’m sure you will agree. Planning, organising and shopping and lots of socialising. Two of those I’m not terribly good at, well some of the time and one of them apparently I’d get a first class honours in. For me these days it takes me a little longer to get in the groove when it comes to Christmas shopping. Funny thing how the past pops up this week and I’ve come to realise its in the genes – I’ve become a bit of a last minute merchant just like my dad. Childhood memories flash back of me taking my dads hand and we’d walk to the local newsagents. A good 20 minute walk passed the paddies pub, The White Heart and across the road just along from the garage there would be the big glass doors……… Pushing them open to discover a hive of activity. You see our newsagents used to turn into a winter wonderland bright glittery cards, paper chains, posh pens and the chocolate boxes……….. ooooh those huge boxes. Caburys, Milk Tray, Bournville. You see each year my dad and I made this trek to choose the biggest box, with the prettiest picture, and sometimes with a huge bow too. Instead of the cigarette cupboard you see these days it was shelves of wonderful picture chocolate boxes! Standing there gazing in awe we could never make our minds up which one mum would like. We usually end up with flowers as we’d left it too late and the cute puppies had gone. We’d walk back home and as we got to the back gate the treasured choccies would be stuffed up dads coat and we innocently march in. Now I’m pretty sure my mother was acutely aware what was going on and would turn a blind eye and act all surprised on Christmas Day. Some years later, well 8 in actual fact, my mother made a confession to my dear ole romantic dad. Well it was more a plea really. That although she loved his thoughtfulness and loved chocolates, she couldn’t stand dark chocolate and could we have a change next year. He looked crushed, next year was going to be a challenge for sure……. 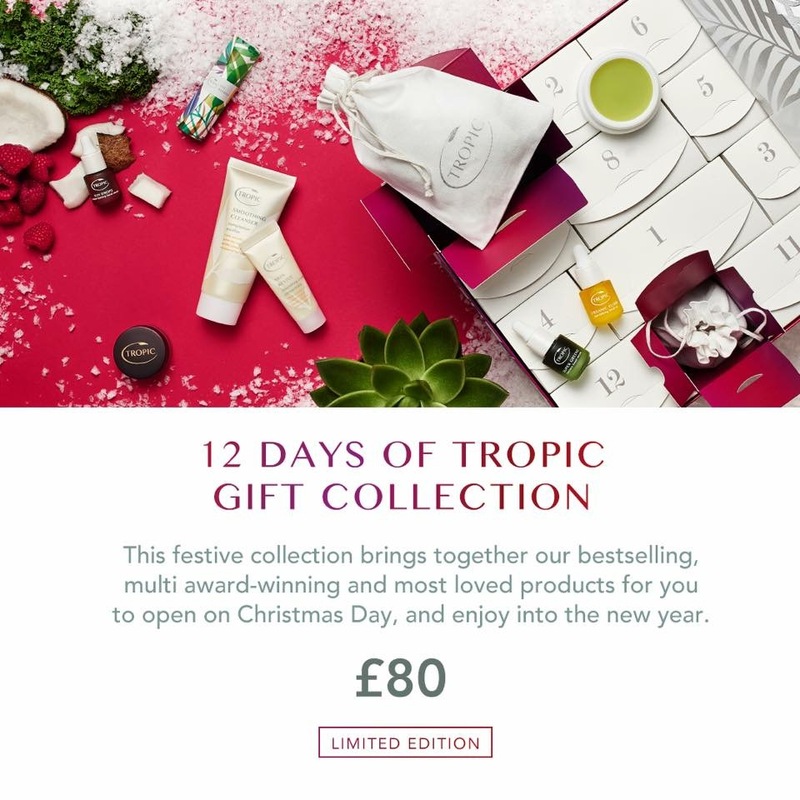 Taking delivery today of a box called “12 Days of Christmas” from Tropic brought back these memories as I pulled on the wonderful silk ribbon and popped the top of the box. Made me laugh and think thank goodness for more choice and for money back guarantees. As for the inside a few more boxes all waiting with anticipation to be opened. Instead of mouth watering moments here are more of what a girl really wants. No calories! 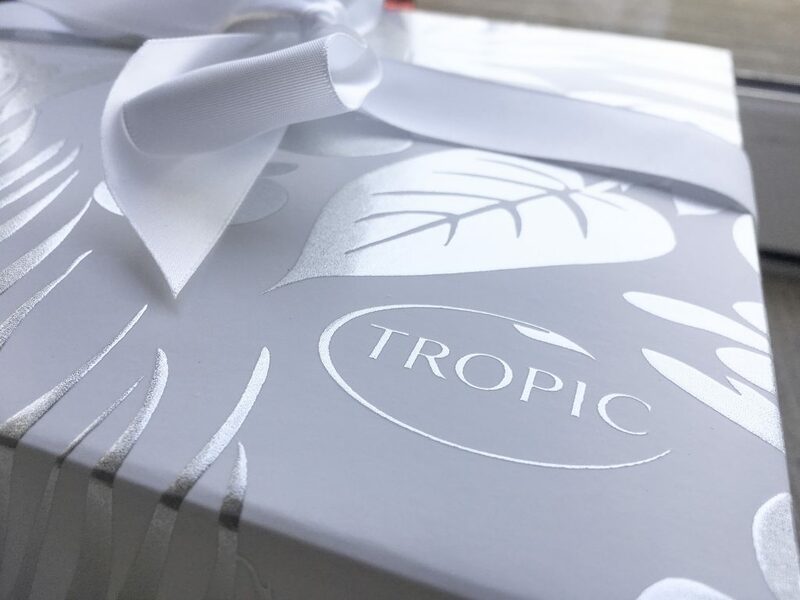 Just delicious skincare products that smell well just good enough to sit back relax and enjoy a wonderful treat. 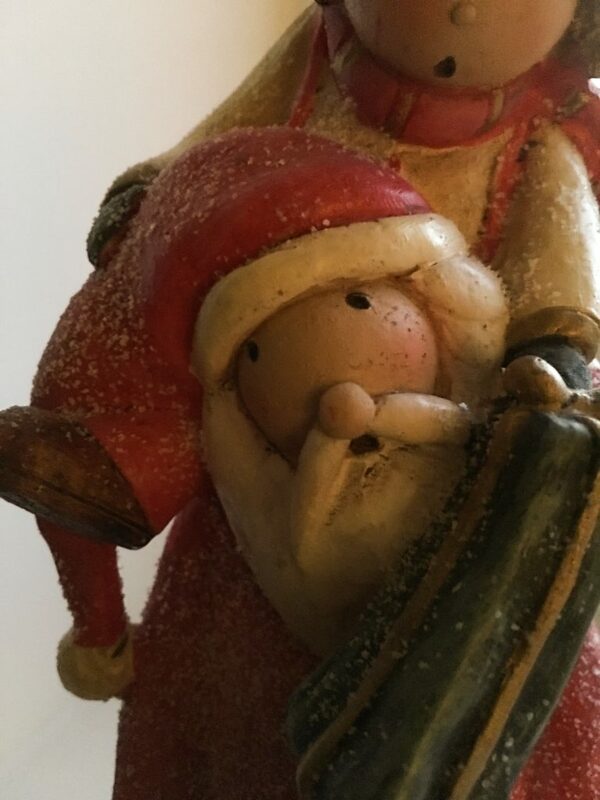 Do you have any fond Christmas memories from year gone by?